Join us, and rediscover home as we dive into the DiscoverNEPA Bucket List! Whether Northeastern Pennsylvania is your home turf, or if you just find yourself coming back again and again, you’ll have a blast checking items off this list. From the most ambitious to the simple and the easy to those with a unique NEPA twist, they can all be done right here in our backyard. All year long, we will be setting out to complete what we’re calling the official DiscoverNEPA Bucket list. And we want you to join us. Sure, there will be once-in-a-lifetime activities like sky diving, zooming around in a race car and running a marathon. And some of the items will be simple, everyday sort of things we often take for granted, like enjoying a pint at America’s oldest brewery. All of the items on the DiscoverNEPA Bucket List, however, will be specific to Northeastern Pennsylvania. With a little planning, open minds, adventurous spirits, and an eager group of interns, we’ll do our best to check our way through this list. 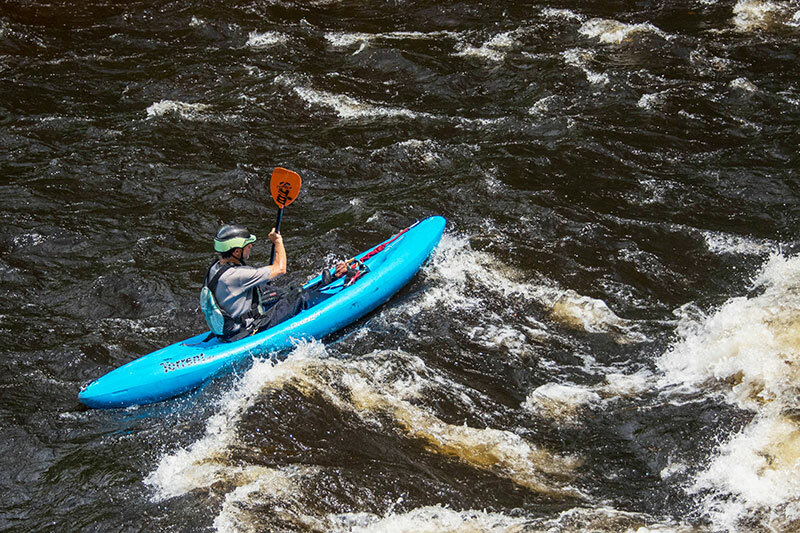 Follow along, and keep an eye out for videos, blog posts, deals and contests as we continue to revisit the DiscoverNEPA Bucket List throughout the year. And remember, this list is not final. Hopefully, as we check one item off, we can add a few more. And, as always, we’re looking for your suggestions. If you know of a truly unique NEPA experience, and it’s not on our list, please let us know about it. …with a professional and a parachute of course. Grit your teeth, muster every last bit of courage and step out the door of a perfectly good plane and into the clear, blue sky. Take the reins and be the musher, or just grab a seat on the sled and enjoy the ride as these beautiful huskies pull you through a snowy Pocono wonderland. Learn from the pros and take your home pizza craft to the next level. From tossing the dough to spreading the sauce, you’ll get hands-on experience in every part of the pizza process. Just remember, pizza = hungry friends. Yes, people actually do this. With a professional guide, the right equipment, and some warm socks, you can experience this one-of-a-kind thrill. The stunning scenery alone will make you an Instagram hero. I can think of only one place locally where it’s perfectly legal to whip a tomato at someone. Every year, the Annual Pittston Tomato Festival hosts the infamous tomato fights. All proceeds go to local charities, and you’ll have a story for the grandkids. In NEPA, we like to pride ourselves on being able to handle the cold, but just in case anyone ever doubts you, jumping into an icy pond or lake in the middle of January is probably the best course to set them straight. #7 Drive Fast... No, Real Fast. They call it the “tricky triangle.” Pocono Raceway is a legendary race track that confounds even the best drivers in the world. YOU are not a professional race car driver. That doesn’t mean you can’t hop into a 600-horsepower stock car and blast around the track at over 150 miles per hour. The Frances E. Walter Dam releases water into the Lehigh River at up to 1,700 cubic feet per second. This creates devastatingly strong currents, thrashing whitewater rapids and swirling whirlpools. Let’s grab a raft and show this bad boy who’s boss. This is an easy one. Most of you have already done it. And why not? It’s only the greatest wooden roller coaster in the world. For those of you who’ve already ridden it, we’ll just pretend you didn’t. And for those who have never experienced the Phoenix, there’s only one rule — hands up all the way! And then give me a call and I’ll come over and help you drink it. Just kidding. But why not give it a try? Hook up with some local experts. Attend a workshop, and start cranking out your very own IPAs and fruit beers. You can combine this with the pizza making class. It’s only natural. It’s just like the famous hot dog eating contest, but it’s with cannoli, and they taste a million times better than hot dogs. Every year, Scranton’s La Festa Italiana honors the region’s Italian heritage. Share in that honor by eating as many cannoli as humanly possible. OK. This one’s probably the toughest. But with the proper training and motivation, it’s definitely possible. Set a goal. Work your way up to it, and, when you’re ready, take on one of the country’s most popular marathons. You can do it! Get a rare look into the cosmos at a local observatory. Nothing helps to spur on our natural sense of curiosity and wonder better than a good, long look into the depths of our galaxy. Of course, the right equipment and a knowledgeable guide make it all the more intriguing. Yuengling has been making beer in Pottsville since 1829. They probably know what they’re doing. Stop in. Take a tour of the world-famous brewery, and enjoy a pint or two in the tasting room. You’ll also be able to check off one of the stops on the DiscoverNEPA Brewer’s Loop. No, not literally. Get over your stage fright, work on those vocal warmup exercises, and belt one out to the back row. You know you always wanted to be a star. Local theaters are always holding auditions. Now’s your chance. Nothing stirs the soul quite like a little honest handi-work. Whether it’s painting fences, sweeping out the barn or shoveling… well, you know, The Lands at Hillside Farms in Shavertown is always looking for a few good volunteers (you’ll probably get a some ice cream out of the deal, too). Take to the sky in your own personal sightseeing tour of the Wyoming Valley. You can get a bird’s eye view of this beautiful region by plane or helicopter. And if you’re daring enough, you can also stunt roll through the sky in a WWII Era Warbird. Autumn in NEPA brings so many good things — foliage, apple cider, pumpkin spiced things, and sincere panic and frustration. Seriously, when did we decide that corn mazes had to be impossible… or is it just me? At least when you make it out, you can reward yourself with a cozy campfire. Ok fine, you don’t have to wear the kilt, but you have to witness the 2nd largest Saint Patrick’s Day Parade in the country. And there’s going to be green beer somewhere, so you might as well have a few. And if one thing leads to another and you feel like putting on the kilt, you go for it. Montage Mountain Ski Resort boasts the second steepest drop in the entire east. Grab your board or skis and head for the mountain’s famed North Face. You’ll know it when you see it, because it’s the giant scary mountain covered in snow. We know you always wanted to be a rock star. And with a little help from some talented local musicians, you can keep the dream alive. Check out Rockology in Wilkes-Barre, meet some like-minded rockers and get to work on that Nickelback Tribute Band. This traditional Italian holiday has been going on in Jessup since the early 1900s. Only two cities in the world partake in the annual Running of the Saints, and one of them happens to be right here in NEPA. Join in. It’s only two miles. Plus, there’s got to be tons of Italian food involved here somewhere. If you put in the work, you’ll be rewarded with one of the most spectacular views in all of NEPA. Hike up to Campbell’s Ledge in Duryea. The sheer, 700-foot cliff face offers a breathtaking panoramic view of the Wyoming Valley and the Susquehanna River below. Don’t forget to share the pics. It’s one thing to pick up a new, weekend hobby, it’s totally awesome to become a master at something really cool like archery. You can train with certified local experts and eventually reach a competitive level, or just blast those targets for fun on the weekend. Soar over some of NEPA’s most scenic landscapes just 30 minutes north of Scranton. Glide through the air over pristine, pastoral farm country, and dense green forests. And, as always, celebrate each landing with a traditional champagne toast. We’re not talking about that German 1 class you took in high school for easy credit. With a little dedication, you can devote just a fraction of your time to improving your ability to communicate with all the wonderful people of NEPA. No. It’s not a thing…Yet. But we can make it one at the Edwardsville Pierogi Festival. Make your way through the festival, trying at least one pierogi from every vendor you can find. You may not feel so well after, but you’ll be a local hero… to some… alright, to me. You’ll be my hero. Discover your natural, artistic ability and creativity. Sign up for art classes. Learn how to make pottery, paint some of NEPA’s gorgeous landscapes, or draw some cats. Under the guidance of talented local artists, the sky’s the limit (please forgive the cliche — I stole it from one of my cat posters). Some say it’s never been done. So many have tried and failed. Every Christmas season, the famous Peckville Christmas House holds a tricky blow mold search. You’ll have to pay close attention to every tiny detail. Make a note of every Santa and snowman. Join hundreds of cyclists from all over the eastern U.S. on an amazing “100-ish” mile bike ride through Luzerne, Lackawanna, and Wyoming Counties. Of course, you don’t have to sign up for all “100-ish” miles. Grab some adventurous friends and hit the road for a beautiful springtime ride through NEPA. This is your moment to shine. There’s a reason you’ve been perfecting your rendition of “Bring Him Home” in the shower for the last four years. Have your American Idol moment, and do it for a good cause. Wear yourself out exploring Salt Spring State Park’s 12 miles of trails. Hike through stunning, dense forests, along crystal clear mountain streams and through wide open fields. When night falls, snuggle up inside a warm sleeping bag and let the twinkling mystery of the cosmos lull you to sleep. Sure, it’s pretty much a traditional treat reserved for certain holidays, but in the little town of Plymouth, Kielbasa is king. Get to the annual Plymouth Kielbasa Festival and work your way shamelessly through each local vendor. Don’t forget your Tums. Running around in the woods with a few friends and some paintball guns is fun, but imagine joining over 4,000 players in an epic re-creation of the D-Day invasion. It’s insane, crazy, sweaty, painty and awesome all rolled into one neat little package. Admit it, you’re the funniest person you know. You shouldn’t keep all of that laughter you yourself. Think of all the good you can do with your lightning quick wit and endless store of knock-knock jokes. Get to Adezzo in Scranton for their stand-up open mic nights and spread the joy. With NEPA’s abundance of rivers and streams, you’d think catching some trout wouldn’t really be a big deal. And in most cases, it’s not, but landing a monster brown on a flyrod in the middle of an ice cold thundering stream, now that’s an experience. Luckily, we know a guy who knows a guy. It’s kind of Strange, I know. But it’s not nearly half as strange as some of the unique food creations you’ll find at the Bloomsburg Fair. Use that birch beer to wash down a tasty rabbit sausage sandwich, or a peanut butter and bacon hot dog. Culinary curiosity alone should compel you to add the fair to your list. You’ve seen one slide, you’ve seen them all, right? Not quite. The High Noon Typhoon at Camelbeach is a 6-story, gravity-defying, stomach-churning, thrill slide that slings you high above the Pocono Mountains. Just promise you’ll eat after going on the slide. Head out to picturesque Susquehanna County. Soak in the bucolic wonder of NEPA’s peaceful, rural landscape, and blast away at some sporting clays. Master the art of sport shooting in this ultra-laid back setting. Normally, bucket lists are selfish endeavors, and they should be. They’re all about enjoying life, but as you make your way through our list, remember that charity is often the most rewarding experience. There’s a lot of good here in NEPA, and we’d be better served to share it. The beauty of this one is that it happens every day, but it never gets old. Sometimes all we really need to feel content in this life is a quiet moment with a setting sun. Throw in a mountain or two, and maybe a few fluffy clouds, and a close friend or loved one nearby — that’s it. That’s all we ever need to help us rediscover home.